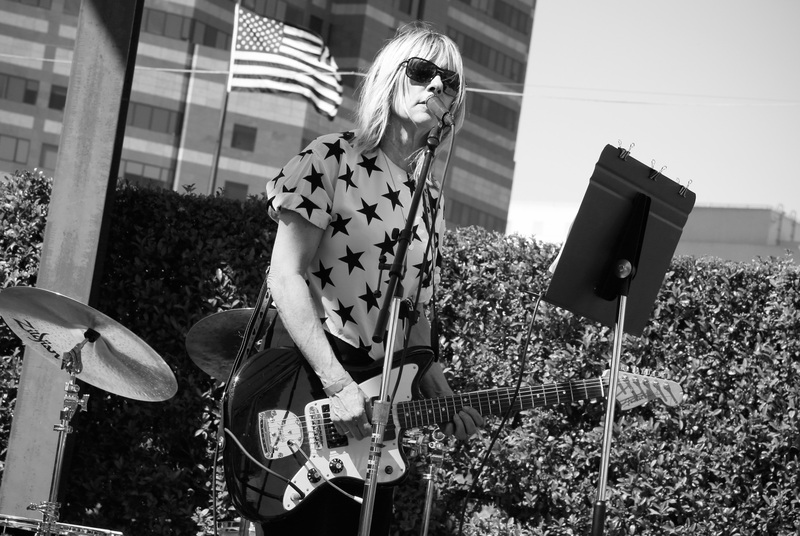 She’s an enigmatic rock star, fashion icon, and visual artist — but what do we really know about Sonic Youth’s Kim Gordon? Finally, she gives us a little peek behind the curtain with her memoir, Girl in a Band (Dey Street Books), due out February 24. If you’ve ever wondered what Gordon thinks about music, motherhood, the end of her marriage to Thurston Moore, art, family, Kurt and Courtney, or New York versus L.A., you need to read this book. If you just feel like getting inspired by some prose written by a kickass, feminist rock star, Gordon's book delivers. Girl in a Band has been compared to Patti Smith’s Just Kids , and for good reason. Both books are written by women who made art on their terms, and who became cultural revolutionaries by being their own authentic selves and breaking through the B.S. of the rock 'n’ roll boys’ club by commanding the stage, gazing back, and killing it. Like Just Kids, Girl in a Band is often poetic, lyrical, and intimate. It’s also, at times, pretty funny. Gordon’s style is confessional, no-nonsense, and IDGAF. It’s refreshing. She’s not begging us to love her — she’s just telling her story. Gordon delves into this topic throughout the book, and by her account being the girl in the band wasn’t always awesome. She’s not whining, she’s just relaying her experience — and probably the experience of a lot of other female musicians throughout the ages. When news broke that Gordon and her husband/bandmate Thurston Moore were splitting up, the Internet went into mourning. How could one of the coolest rock star couples in history get divorced? What did it say about our society, the universe, and life as we know it? Gordon doesn’t sugarcoat what happened, or how she feels about it. She talks about the cliché of the “other woman,” and about how that other woman was “a current that dragged you underwater and you were miles from home before you even realize it.” That’s one (poetic) way of putting things. On other words, it’s complicated. Gordon also says, “I sometimes think of myself as a lower-case rock star,” but I think she’s being modest. Yes, Kim Gordon is extremely sensitive. She’s human. She has baggage and emotions and fears. Deal with it. Gordon writes about her older brother Keller’s mental illness and its impact on her life, which couldn’t have been easy to share. She channeled her feelings about her brother — and about anything she was going through — into art. And that’s where she found a voice. “Self-consciousness was the beginning of creative death to me,” she writes. This is one of my favorite lines from Gordon’s book. Why is it considered a crisis? Why do we waste so much time during the teen years freaking out because we don’t know exactly who we are? I don’t have the answer, and neither does she, and that's OK.
WTF? I’m not sure if Kim Gordon was intentionally making a profound statement about our current economy and the student debt crisis and the ballooning cost of tuition and rent, but it definitely resonates. Gordon was a “terrible receptionist,” she was in a (failed) girl band called Introjection, and she made a silent surrealist film about Patty Hearst before she became a rock star. She didn’t stop just because Introjection didn’t become an MTV favorite. She believed she would succeed, and she did. This should be emblazoned on the entrance of the Rock and Roll Hall of Fame Museum. It should be recited for years to come, to motivate any little girl who is told she can’t be a rock star. No matter what she says, Gordon is a fashion icon. She created the X-Girl line in the '90s, she’s collaborated with Urban Outfitters, and she designed a capsule collection with the French brand Surface to Air. Plus, she’s one of the best dressed bassists out there. Gordon was close with Cobain, and she sheds some light on why she thinks he went down the path that he did. She’s also not too warm and fuzzy about Courtney Love, in case you can’t tell. Even if you love The Smashing Pumpkins, that’s pretty funny.